If you’re like us, then you might open your dishwasher and forgot if the dishes inside were clean or dirty. 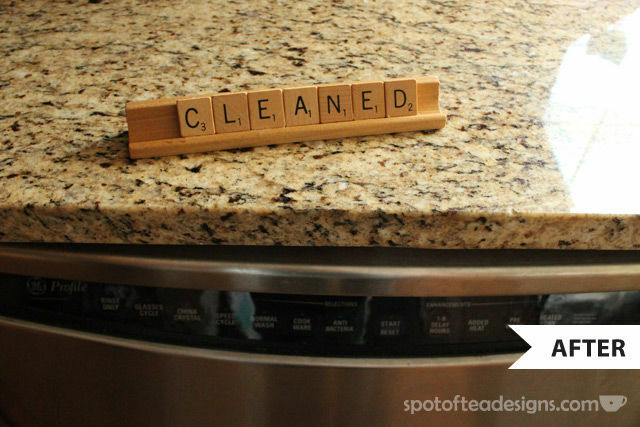 Make a DIY Dishwasher indicator so you never get confused again! An old set of Scrabble tiles salvaged from a house cleanout at Derek’s Gramma’s back in October. I saved the pieces knowing I’d find something to do with them and this was just the right use! 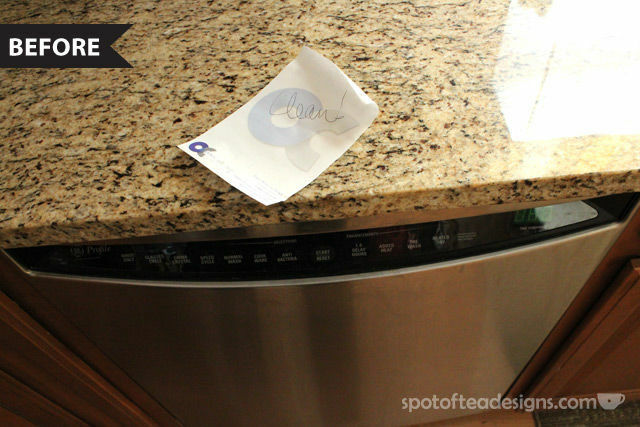 With a little hot glue, our DIY Dishwasher “cleaned” indicator is now in full use for our playful family! Don’t you just love a good recycling solution? Tara, this is absolutely brilliant! 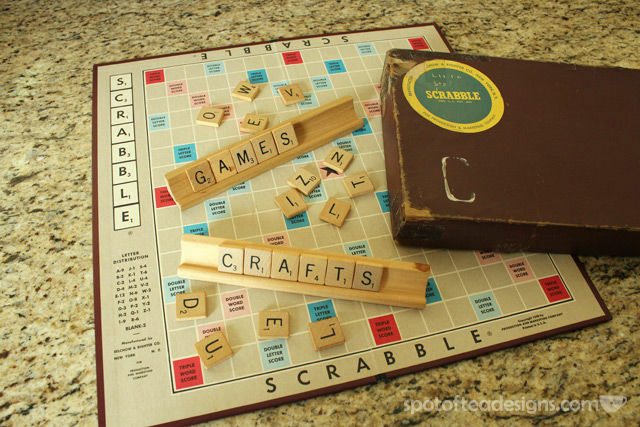 We have the same situation, AND I’ve been saving old Scrabble tiles! Now I know exactly what to do with them!